I thought it would be fun today to share some of my deepest, darkest secrets. Or maybe...share some totally unnecessary information about myself with you. 1. I know this will shock your socks off, but I like McDonald's $1 Cokes better than Sonic's. 2. Speaking of Cokes, I bet I would lose 10 lbs. just if I stopped drinking Cokes. 3. But I'm not ready to give them up. 4. This heat is killing me. I didn't run for a whole week last week, and I didn't even feel that guilty. 5. Somewhere between home and summer camp, I lost some undies, and was completely out of clean ones last Friday morning. I ended up "recycling" the day before's pair by the little turn 'em inside out trick. And then raced to the laundry facility at camp to start a load of whites. Is that TMI? Anyone else ever done this trick? Come on--be honest! 6. By this time every summer, I am kind of ready to be back in my own home. I am pretty much running out of friendly. And patience. And also I am kind of done with eating a nice, hot lunch in a 100-degree dining hall that is blasting rap music. Oops, did I mention I was running out of friendly? 'Cause that all sounds pretty cranky, doesn't it? In spite of those negative comments, I should tell you that I LOVE our staff this year. I'm not ready for that part to be over. 8. I haven't even BOUGHT one piece of curriculum for my homeschooled 2nd grader yet. Aahhhhh!!! This summer has just been BUSY, and I haven't had time to research. If any of you know good curriculum for a sweet little girl just getting over eye tracking issues (and possibly either dyslexia or processing issues), I would sure appreciate any suggestions! She struggles a lot with spelling and handwriting. 9. I really love popsicles. The fresh fruit kind, and even the red, orange, or purple Twin Pops. Summer=popsicles. 10. The Hollywood Housewife was in our little town recently, and I got to have dinner with her and her sister. It was 3 solid hours of talking, giggling, and "NO WAY'S!!!" Have I told ya'll how much I love Hollywod Housewife? Seriously, not only is she an amazing writer, but she is good people. Hearing her talk about the Blissdom Conference has convinced me that I need to go in 2013! Anybody want to go with me? This year it's in Dallas! 11. 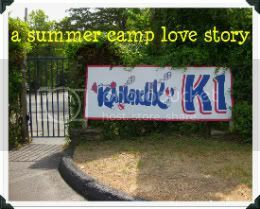 I know, I know--I never finished our Summer Camp Love Story last summer. It has been my goal all year to finish up for our anniversary this summer...but I'm running out of time. It's just that I've gotten to the more difficult part of the story. In fact, I could probably write a whole story about WHY it's been difficult to finish writing this part of the story. But, maybe I should just focus my time on FINISHING the dang story, right? What would YOU like to confess today? ?